It’s been a hell of a week. It was my last week of school (for now) woo! Of course this means it was finals week… boo. Fortunately I just had a couple of tests, and tests never stress me out much. (Writing papers is a lot more stressful to me for some reason). I am also preparing the house for when my best friend comes this weekend from Illinois to stay with us for a week. But Tuesday I felt something… a little tickle in the back of my throat. No. Not now. Recognizing that tickle, I immediately began taking Emergen-C and drinking herbal teas and lots of water. I have been able to nip it in the bud this way before. But not this time… All the lemon-ginger-cayenne tea in the world couldn’t ward off the beast of a cold that snuck up on me. I went from feeling like I was going to fight it off with just a ticklely throat, to a runny nosed, congested, death-rattle coughing zombie in about 4 hours flat. I took a 3 hour nap when I got home from my last final and slept 10 hours last night. That’s an awful lot of sleep for me but it seemed to be just what I needed! I am still sick but definitely better. Another thing this cold wiped out was my appetite. I haven’t really enjoyed eating anything besides soups and smoothies. 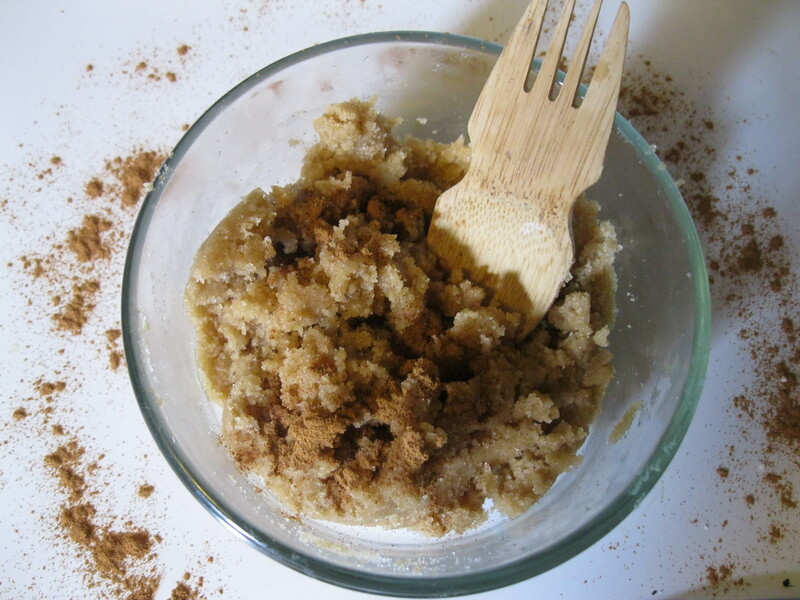 I have a couple recipes I’d like to share soon, but as I am still not feeling too much zest for food right now, I thought I would share a lovely and simple body scrub. Perfect for pampering yourself in the bathtub, whether you’re sick or not! Combine all ingredients in a bowl with a fork or whisk. To use: massage onto moistened skin and rinse. This recipe can be easily doubled or quadrupled and would make an excellent gift as well!